Preparation instructions: Ready to use. 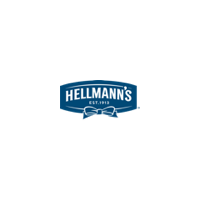 Hellmann’s has long stood for great taste and high quality because of its commitment using best quality ingredients. 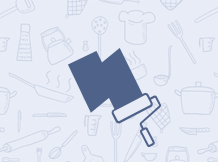 Our wide range of mayonnaise, salad dressings, condiments and sauces are designed to provide consistency and superior performance. You need to sign in to write a review. Spectrum Naturals Canola Mayonnaise, 30 Pound -- 1 each. Spectrum Naturals Canola Mayonnaise, 1 Gallon -- 4 per case. C.F. Sauer Foods Extra Heavy Duty White River Mayonnaise, 1 Gallon -- 4 per case. Gold Medal Extra Heavy Duty Mayonnaise, 30 Pound -- 1 each. Ventura Chipotle Mayonnaise, 7.8 Pound Jar -- 2 per case. C.F. Sauer Foods Extra Heavy Duty Mayonnaise -- 4 per case. Gold Medal Extra Heavy Duty Mayonnaise, 30 Pound Tub -- 1 each. Dukes Mayonnaise, 16 Ounce -- 12 per case. Cains Mayonnaise, 1 Gallon -- 4 per case. Tulkoff Spicy Chipotle Chili Aioli, 30 Fluid Ounce -- 2 per case.